Von Sutten on Superey. Ted Petit Photography. On Monday, April 15, the second of three days of Amateur/Amateur Unlimited Classic go-round competition at the 2019 NCHA Kit Kat Sugar Super Stakes, Von Sutten and Superey topped the roster with 221 points. German Lugo, riding Mamas Stylish Sophie on Sunday, scored 220 points, the second-highest mark, and Will Bushaw, aboard Bittersweet, ranked third with 219 points. Unlimited Amateur entrant Von Sutten, Weatherford, Tex., the NCHA earner of $540,677, won the 2008 NCHA Super Stakes Amateur championship riding Smartware LTE $41,115. In 2013, Sutten won the NCHA Derby Amateur Unlimited on Whiskers And Rumors LTE $50,775, and in 2016, he won the NCHA Classic Challenge Amateur Unlimited on One Stylish Pepto LTE $81,203. Last year, Sutten claimed the PCCHA Derby Amateur Unlimited on Stylish Hallie Cat LTE $22,740, as well as the Arbuckle Mountain Classic 5/6 Amateur Unlimited on Superey LTE $66,225. Superey, by Dual Rey, is out of 2005 NCHA Futurity Open champion Highbrow Supercat LTE $364,690, the dam of 19 earners of $1,291,385, including Superey’s full siblings Lil Rattler LTE $338,873, Button Down Supercat LTE $285,048, and Cinca De Maya LTE $106,341. Unlimited Amateur entrant German Lugo, Gainesville, Tex., the NCHA earner of $166,554, placed third in the 2017 NCHA Super Stakes Amateur and Amateur Unlimited Finals riding Ichi Bitsy Rider LTE $43,364, by Cat Ichi. The pair, who made their debut as fifth-place finalists in the 2016 NCHA Futurity Amateur, also won the 2017 Breeders Invitational Amateur championship. Dual Rey daughter Mamas Stylish Sophie LTE $82,911, Lugo’s 2019 Super Stakes Classic mount, is out of Stylish Amanda LTE $109,648, the dam of earners of $549,745. 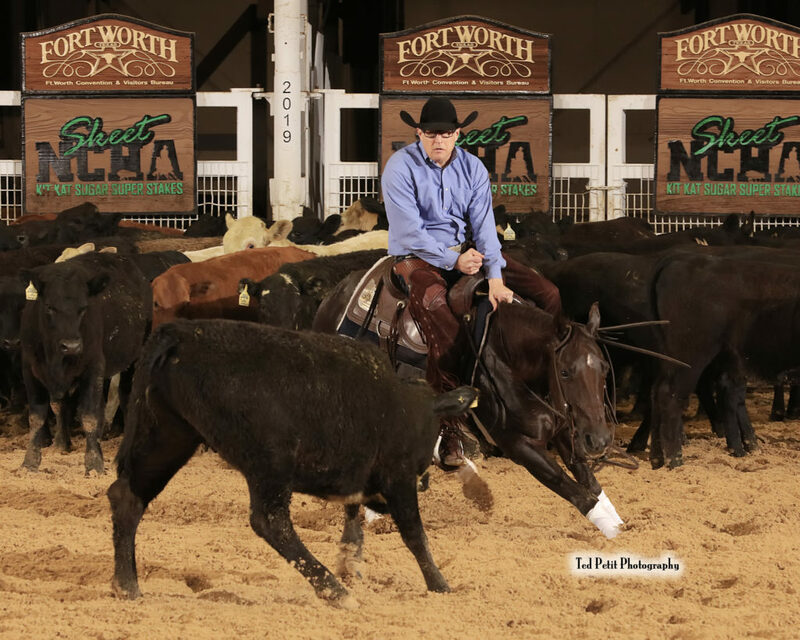 Amateur and Unlimited Amateur entrant Will Bushaw, Weatherford, Tex., the NCHA earner of $57,158, is also qualified as a Junior Youth, but has been earning his way in limited age event competition, as well. He placed fourth in last year’s NCHA Super Stakes Amateur on Wood You Rather LTE $15,469, by Woody Be Tuff, and fifteenth in the Amateur Unlimited with Where Its At LTE $13,681, by Dual Smart Rey. Will is currently also the leading 2019 Super Stakes Classic Amateur go-round contender. Bittersweet LTE $164,971, by Metallic Cat, Will’s 2019 Super Stakes Amateur Classic mount, carried Will’s father, NCHA Hall of Fame rider Chad Bushaw, to win the 2017 NCHA Futurity Non-Pro championship, and the co-championship of the 2018 NCHA Super Stakes Non-Pro. And on Sunday, April 14, Chad Bushaw showed Rey Banz Gal LTE $41,125, by Auspicious Cat, as co-champion of the 2019 NCHA Kit Kat Sugar Super Stakes Non-Pro.